A dynamic learning experience using online, residency and experience-based tactical learning modules. 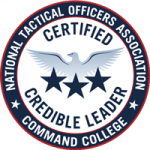 The NTOA Academy takes the professionalization of SWAT to the next level by providing for the certification of SWAT team leaders and commanders. The curriculum consists of online education, residency courses and capstone project requirements. The blended learning program incorporates leadership concepts, theories and models and applies them to the role of the Tactical Commander and Team Leader. This intensive three-tier certification program prepares students to anticipate and manage current and future challenges facing their team, agencies and communities. The comprehensive Learning Modules focus on contemporary leadership principles and concepts such as Transformational, Servant and Tactical Leadership; Motivation, Strategic Planning and Change Management; Communication and Ethical Decision-Making. The intensive three-phase program directs and challenges students to plan and learn to make decisions at the Tactical, Operational and Strategic level. They will engage in the analysis and planning of dynamic tactical situations and apply current leadership principles considering the effects on all stakeholders. These graduates have the honor of wearing their 1 Star certification pin signifying this accomplishment. Every officer is a leader! 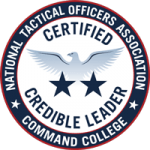 The National Tactical Officers Association is pleased to announce the formation of the NTOA Academy, created in partnership with the International Academy of Public Safety (IAPS). The NTOA Academy, “An Investment in Innovation, Education and the Future,” is an internationally blended and comprehensive educational program designed to prepare today’s tactical officers and policing leaders to succeed in a high-risk, ever-changing professional environment and to effectively meet the challenges of the future. The NTOA Academy is a dynamic learning experience using online, resident and experience-based tactical learning modules to introduce new concepts, refine tactical team members’ understanding of application, and then use those skills to resolve some of the most complex, challenging and high-risk incidents involving their communities. The curriculum will be based on best practices and designed to ensure that graduates are prepared to meet the dynamic challenges of modern policing. 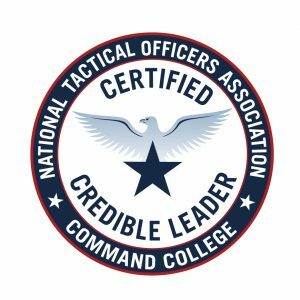 The NTOA prides itself in providing quality training and focused education to the tactical law enforcement community. We are acutely aware of the challenges facing our profession today and believe that we have a moral obligation to expand our training and educational opportunities to meet the growing demand for contemporary knowledge and skills. 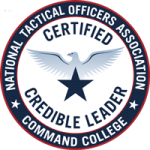 The NTOA Academy will provide all law enforcement personnel access to a learning environment designed to ensure they receive the most contemporary information and skills necessary for applying the gained knowledge. It will be the most robust education and certification program available to law enforcement to date. This endeavor is in keeping with the NTOA’s goal of providing an avenue for a continuum of training and education of the highest quality.